Have you ever dreamed of living the quintessential Hampton’s inspired lifestyle? The rare chance to do so has arrived on the Gold Coast, with this 5 bedroom, 4.5 bathroom residence of distinction. Boasting 839m2 of light-filled, luxury living, flawless American Oak and Limestone finishes and a multitude of enviable indoor and alfresco entertaining areas, no expense has been spared in creating this authentic Hampton’s home. 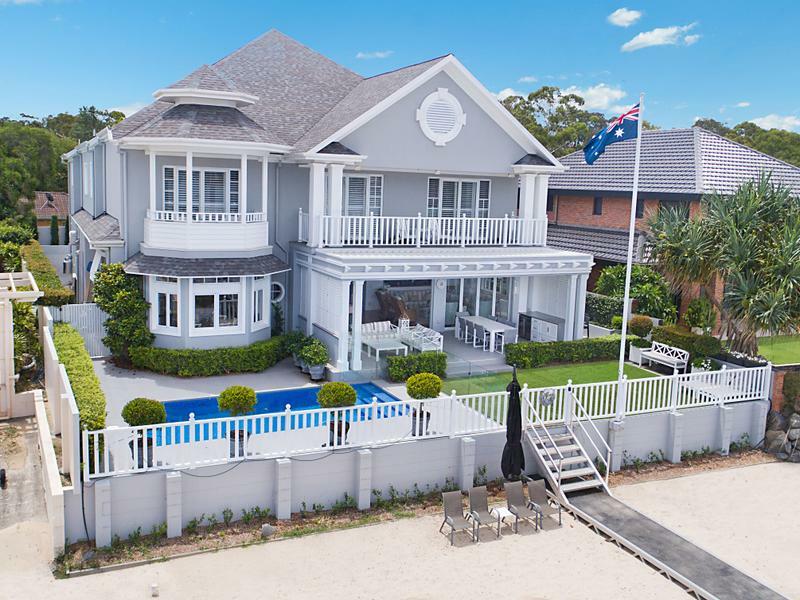 Perched on almost a ¼ acre of prime Main River land and featuring its own 20m stretch of sandy coastline, this grand abode is tucked away behind a Cypress-lined driveway and set against the backdrop of superb city skyline and water vistas.